The upward form up from 2016 and 2009 in NQ should nearly be complete. The question now is if the impulse up from the consolidation early this year is complete. I'd say the minimum requirements are now met at the last high in late July. Following is the weekly chart. 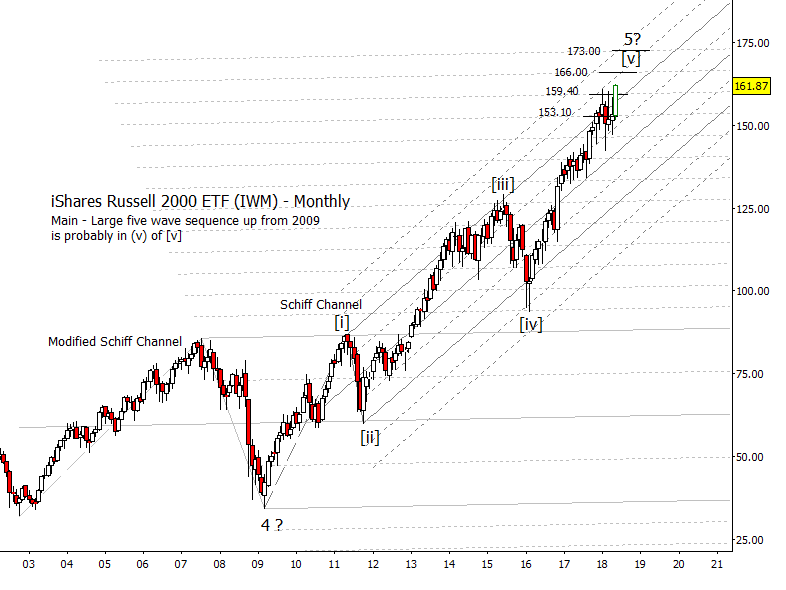 I will add two different daily charts later that address two possibilities, a simple impulse up and an ending diagonal. When I add the daily charts, I'll add a note to the top of the post to notify you.